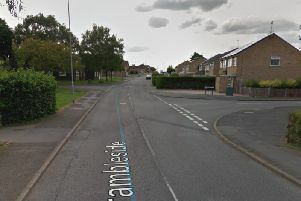 Police are appealing for witnesses after a burglary in Kempton Close, Corby. The occupant heard a noise and then the side gate slamming between 4.15pm and 4.45pm yesterday (Tuesday). A spokesman for Northants Police: “Upon investigation, they found that the rear patio door had been forced. Witnesses or anyone with information are asked to call police on 101 or Crimestoppers anonymously on 0800 555111.